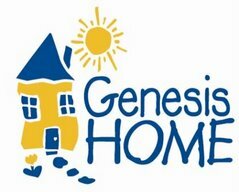 This morning Ryan left the house at 3:30 am to join other Genesis Home staff, officers from our local police department, and numerous volunteers in conducting the 2008 homeless point in time count. This group - like those in other areas of the state who are doing the same - headed out to various designated regions throughout our area to meet with and count the number of people who are currently homeless. Last year, over 1800 homeless men, women, and children were identified in the Triangle. We'll see what this year shows.